Worldwide, Berrill pointed to a peak in captured fish stocks in 1989, that signaled a maximum sustainable global catch having been approached.7 The FAO concurred, finding that “unregulated fisheries were often leading to resource depletion.”8 Given that the global fisheries are considered important for the food security and nutritional needs of the world’s population9 this should be a cause for concern. In the face of uncertainty, adherence to the precautionary principle seems prudent.12 Prudent and logical, but not easy. Among the over 7,000 islands in the Philippines, lies Apo Island, a diminutive tropical island, nestled at the bottom of Cebu and southeast from nearby Negros. A sign on Apo Island’s main beach informs that the island is 72 hectares of protected landscape and 619 hectares of protected seascape. The seascape includes 106 hectares of coral reef. 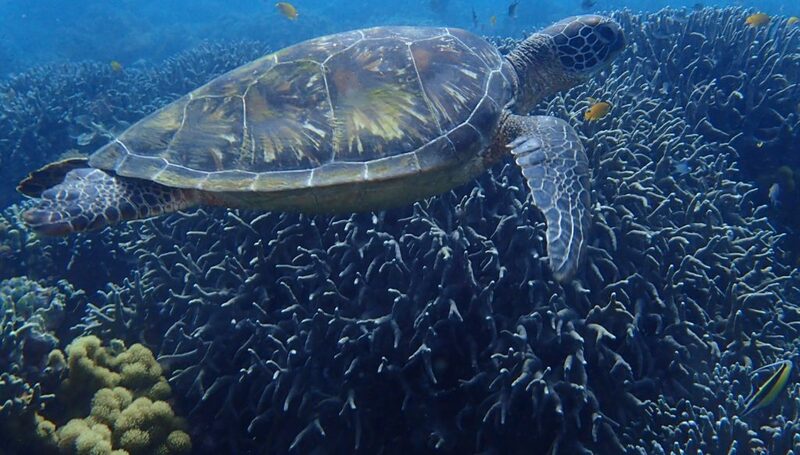 The reserve lies on the south-eastern side of Apo Island and was established in 1982 as a no-take area. It consists of 22.5 hectares along a 0.45 km stretch of the island that represents about 10% of the coral reef. Fishing is the major income-generating activity in the area. 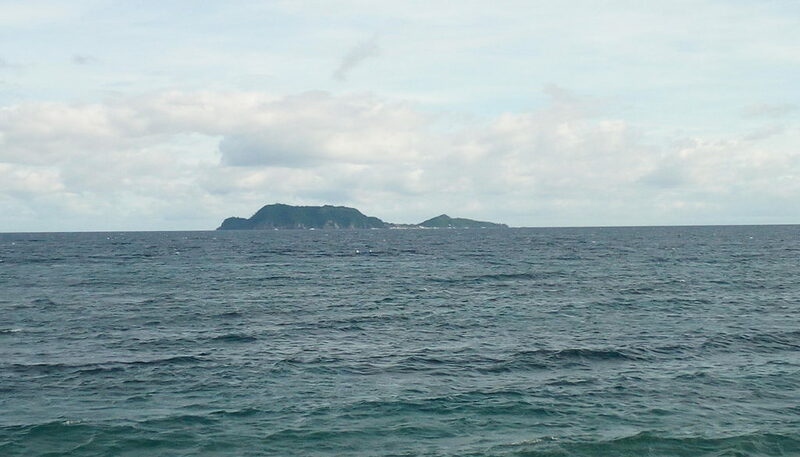 The island is distinctive. There are no roads or motorized vehicles. You get around by walking. Electricity is available only from 6 PM to 10 PM each day. All the lodgings are simple backpacker style. To some this island is paradise. 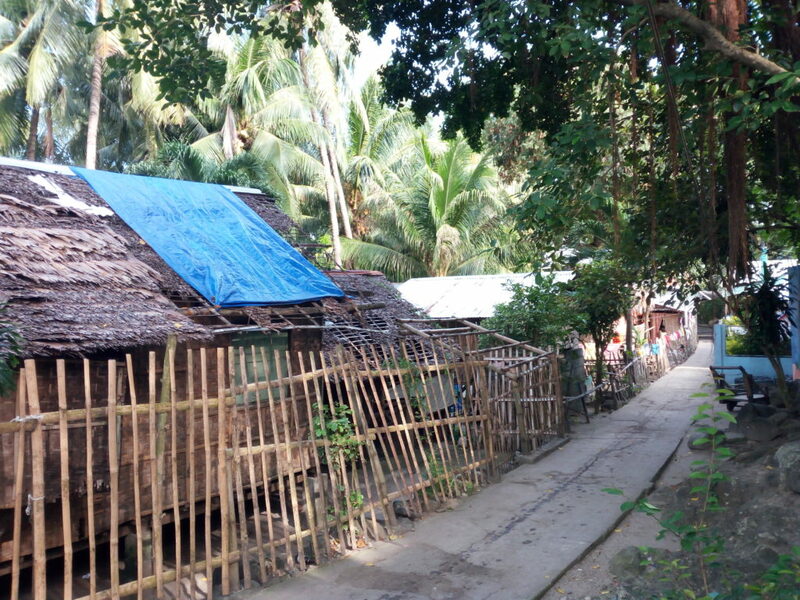 But people in paradise must not be complacent as a sign affixed to the side of a thatched bamboo hut warns. Titled “Threats to Philippine Biodiversity,” those listed were deforestation, mining, hunting and wildlife trade, pollution, population growth, lack of education, and illegal fishing. Apo Island is very dependent on fishing for sustenance. But over the years, a decline in catch was noticed and fishers were having to venture farther offshore to catch fish. 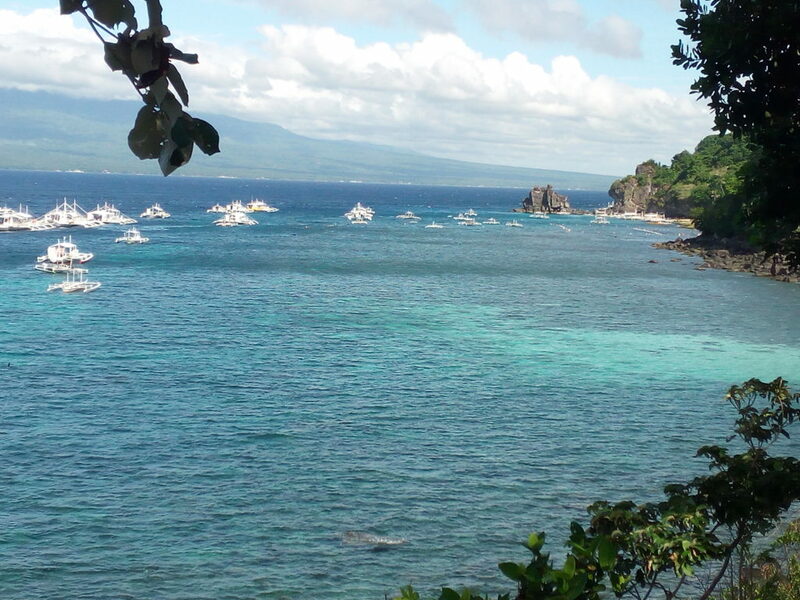 Apo Island found a solution: the establishment of a marine sanctuary. This venture was led by Dr. Angel Alcala, a marine scientist from Silliman University. Apo Islander Mario Pascobello, owner of a family-operated diving and homestay business, told of the sensitive negotiations undertaken to persuade fisherfolk to accede to a sanctuary and dissuade them from deleterious fishing practices — among them dynamite fishing, cyanide fishing, muro-ami, and using nets with overly small mesh. Pascobello related that initially the islanders agreed to 10 percent of the waters being designated a marine sanctuary. When the results turned out favorably, with an increase in near-shore catch, the Apo Islanders agreed to expand the sanctuary. Pascobello noted that the Apo Island success has led to the establishment of over one thousand marine sanctuaries throughout the Philippines. Pascobello even was invited to Bunaken Island in Indonesia to share the Apo Island experience that helped lead to the setting up of a marine reserve there. 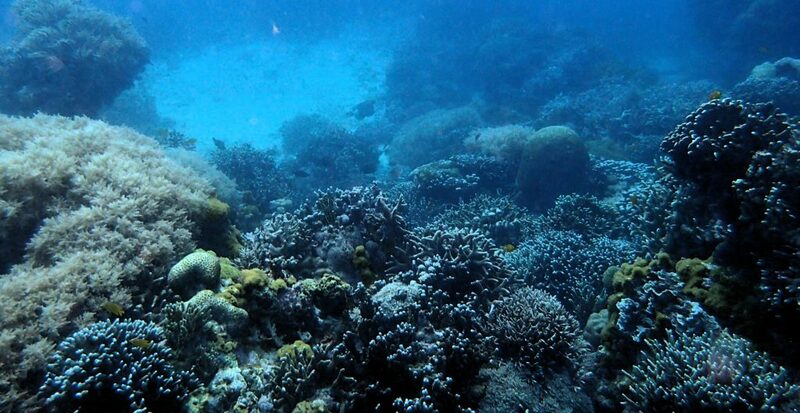 Apo Island is indeed a picturesque underwater realm. 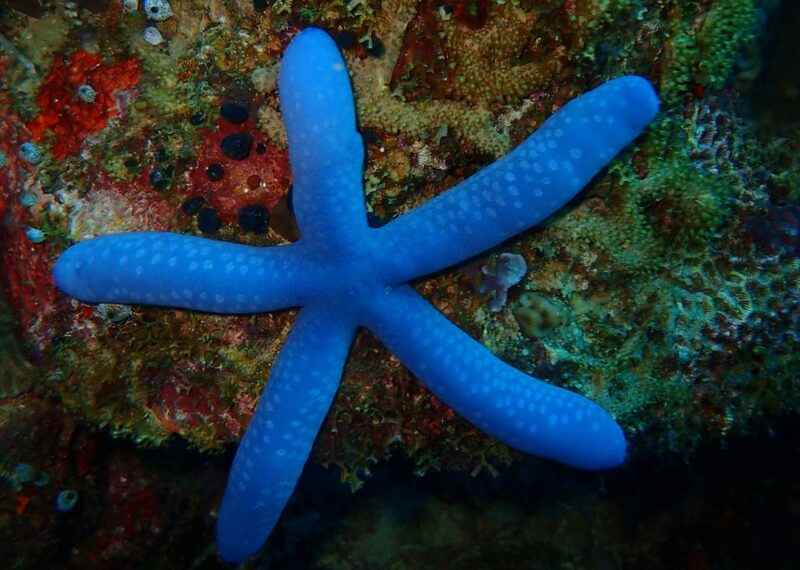 This I experienced on several dives, from swimming over a sandy plain speckled with gently bubbling vents that belied the volcanic origin of the island to admiring the kaleidoscopic color provided by nature’s marine garden of hard and soft corals — all this backdropped by a clear blue seascape. There are a multitude of sea creatures to be encountered. Anemonefishes danced in their namesake homes, sea snakes poked their heads under coral ledges in search of a meal, sea turtles glided by in ungainly fashion, while schools of big-eye trevallies and barracuda rode the currents of the outer reef. Apo Island is a testament to restoring a vibrant fishing ground, preserving the environment for future generations, and creating economic opportunities through tourism. Pascobello averred that community leadership, community monitoring, and education are the keys to the success of the marine reserve. A 2018 UBC study suggests caution, finding that destructive illegal fishing practices still persist in the Philippines. It seems increased vigilance along with continuing education are ever more needed. Nonetheless, Apo Island is a testament to land and marine sanctuaries as a winning proposition for the entire community. All photos by Kim Petersen. This article was posted on Tuesday, May 29th, 2018 at 3:36pm and is filed under Life/Animal Rights, Oceans/Seas, Philippines.